Finding the Best VPN for Linux is an extremely difficult task due to a lack of support. In this article I’m going to show you 5 of the best VPN options for Linux systems because after all if you’re a Linux user then you too deserve privacy on one of the best OSes available. Unfortunately finding a Linux VPN is often like finding a mythical character that you’ve heard about but has never been sighted. Windows, Mac and mobile OSes are well catered for but often Linux users are left out in the cold. The good news is, it doesn’t need to be that way. So let’s find out what the Best VPN for Linux is and show you some options that are available out there. ExpressVPN is the Best VPN for Linux due to the support they give the operating system compared to other providers. Unlike most other VPN providers ExpressVPN actually offer a GUI VPN client for Ubuntu which is a rare thing in the Linux world. If you want ease of access without any complicated set-up then this will be the ideal solution. If you’re a Debian, Fedora, CentOS or Mint user or you’re just a Ubuntu user who prefers command line set-up then ExpressVPN have a detailed guide section showing you how to install and get connected far surpassing what is available elsewhere. As well as the great Linux support ExpressVPN also offers a very good service too. With over 100 VPN locations in over 78 countries, they’re one of the bigger VPN providers and with 256-bit encryption on offer they’ll also keep you secure. The extensive Linux support definitely impressed me and ultimately was the major reason why I voted them the Best VPN for Linux. They’re a few dollars pricier than the other options at $8.32 /mo when taking an annual package but for the dedicated Linux support, they’re certainly worth it. If you’ve searched for a VPN then it’s almost impossible to have missed HideMyAss. They’re the biggest name in the VPN industry and with good reason. The great news is a big name equals big support and Linux is definitely not left out. Although Linux doesn’t have a dedicated Ubuntu client like ExpressVPN offer, HideMyAss does have an extensive set-up guide section. 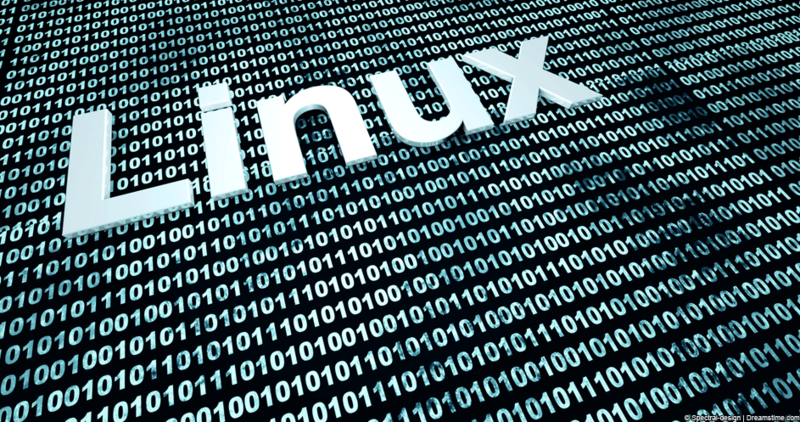 Not only are there guides for all major Linux distros but they also have Command Line tools to get OpenVPN working with some of the most popular versions of Linux including Mint. If you’re interested in using PPTP or L2TP then these protocols are also explained in depth. HideMyAss have the biggest selection of virtual servers available in 190+ countries meaning you can hide your online location and appear in virtually any country in the world. They aren’t as fast as ExpressVPN but for everyday usage they’re certainly ample and if you’re new to VPN use on Linux systems then you’ll be well supported. While both ExpressVPN and HideMyAss pretty much round-up providers who offer custom solutions there are options for those who don’t mind tinkering around under the hood a little and let’s be honest, if you’re a Linux user anyway then you like the challenge of self set-up. The good news is IPVanish do provide a handful of guides on how to set the service up on Linux systems so you’re not totally out in the cold. Although like most providers they don’t offer a custom Linux client it’s well worth mentioning IPVanish as they are hands down the best VPN service I’ve used. They offer servers in over 60 countries and 256-bit encryption keeping your Linux privacy secure. Not only do they offer a vast array of countries to connect to but they’re also one of the fastest VPN providers I’ve used and with a large company behind them, this is a pretty unique feature. At just $6.49 /mo they’re also the cheapest out of the top 3 providers listed so far so if you don’t mind getting your hands dirty and setting up manually then IPVanish are definitely worth considering for Linux. VyprVPN is another VPN provider that offer some support for Linux. Currently they have a Command Line Interface (CLI) system for both Ubuntu and Mint which supports both 64-bit and 32-bit operating systems. The CLI offers up simple commands to make connection as effortless as possible on Linux systems. Failing that there’s a dedicated Linux forum section to the VyprVPN website so if you’re looking for support you’ll be able to discuss things with other VPN Linux like minded individuals. VyprVPN has over 50 countries supported and 700 servers with one of the biggest amounts of IP Addresses available at over 200,000. One thing I didn’t like about the VyprVPN service is that their cheapest package only supports the PPTP protocol which isn’t very secure and if you want access to L2TP and OpenVPN then you’re going to have to stump up at least $8.33 /mo on an annual package making one of the more expensive providers. On the plus side they do have a 3-day free trial so you can try before you buy as long as you enter your payment details. Just remember to cancel before the 3 days are up if you don’t want to keep the service! StrongVPN doesn’t have any specific Linux tools available but like some of the other providers they do have a range of set-up guides covering Debian/Ubuntu, Fedora and other popular Linux distros. Their guide section will help you set-up command line VPN connections for protocols including PPTP, L2TP and OpenVPN. StrongVPN has the added bonus of supporting SSTP which is also included in their Linux set-up guide area. I found the service to be slightly slower than the other providers listed here which was a slight let down of the service but overall it was suitable for everyday use. If you’re after hitting the top speed of your connection then you’re probably better looking elsewhere. StrongVPN is a little on the smaller side only offering up 21 countries but they’re also the cheapest provider so if their coverage is suitable for your needs you can get away with paying the pocket change amount of only $5.83 /mo when taking an annual package. ExpressVPN is far above and beyond when it comes to Linux support and for this I’d recommend it as the best VPN for Linux. Linux is often overlooked in the VPN world and to find such support was pretty surprising. Coupled with their speeds, good service and a massive amount of country connection points there isn’t really another provider who can come close for Linux systems. While ExpressVPN tops the tree the other 4 providers listed all offer some advantages for the Linux user so if you’re happy to do a little more in-depth research it’s worth checking out each provider’s website to see what’s on offer and how their service may be advantageous to yourself. I hope you’ve found these 5 Linux supporting VPN services useful but I would love to hear if you’ve found other providers suitable for the job or if you’ve tested one of the above and what you thought of them, so why not let us know in the comments section at the bottom? If you want a quick recap of the best VPNs for Linux then check below.